This week marks the third and final year of the National Fire Protection Association’s Fire Prevention Week. The last two years have been filled with great information about smoke alarms and this year isn’t any different. While the campaign “Don’t Wait – Check the Date! Replace Smoke Alarms Every 10 Years” is in full swing, we thought we would help push fire safety and provide a helpful checklist of ways that you can prepare for a fire. 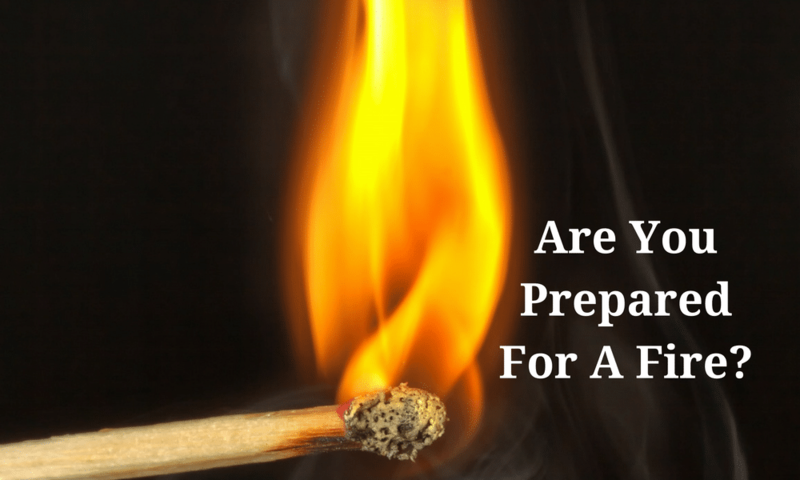 From checking the batteries in your smoke alarms to teaching your children and those in your home the famous “stop, drop and roll,” this checklist is sure to have you ready for any fire. Check the batteries in your smoke alarms – To do so, press the test button on the front of the alarm. If a loud, piercing siren emanates, you are good to go. If the siren seems dull or quite, or doesn’t sound at all, you will want to replace the batteries. Have a fire extinguisher on hand – Having one is good and even more is better. Just be sure they are in an accessible location. Place Carbon Monoxide detectors throughout your home – Since carbon monoxide is odorless, flammable and toxic, having these types of detectors are just one more way you can be prepared for a possible fire and poisoning. Make sure items are not covering heat sources – Furniture and other items that can catch fire should be least three feet from fireplaces, wall heaters, baseboards and space heaters. Check the dates on your detectors – Just like anything, these detectors and alarms get old and can malfunction. Be sure your smoke alarms are under 10 years and your carbon monoxide detectors are under seven years. Make sure everyone in the home understands “stop, drop and roll” – In case you or someone in your home catches fire, you will want to make sure everyone knows the “stop, drop and roll” procedure. Have a fire proof blanket – A fire can ignite from anything; a candle or something burning on the stove. A fire proof blanket will smoother the fire and extinguish it. These are also handy if you don’t have a fire extinguisher. Develop an emergency plan – Whether it is just you or a group of people, having a plan is always good. This can include all possible exits, locations of fire extinguishers, where to meet if exiting the building and calling 911 for emergency assistance. Check all electrical cords – Make sure cords aren’t fraying and wires aren’t exposed, along with the proper circuit-protected, multi-prong adapters are used for additional outlets. Make sure cords are not running under carpet or any other type of floor coverings. Make sure appliances are plugged-in directly to outlets – Big or small, all appliances should be plugged directly into outlets, not extension cords. National Fire Protection Association’s website.